As much as many men complain about having to shave, you'd think there would be more bearded men in the United States. But, I've heard reasons that range from wife or girlfriend dislike to the dislike of the itchiness of the whiskers, as causes why more men don't grow beards. A beard on a man generally looks good, as long as the man knows how to properly grow a beard. There are do's and don'ts to the process that can help make the full facial hair more attractive and easier to care for. If you're thinking about properly growing a beard, the best time to do it is when you're going on vacation. That way, you can enjoy your time off work without having to shave. And, you won't look scruffy at work while you're starting to grow your beard. Beginning is simple too. All you have to do is to quit shaving the whiskers off your face. Some men think that's all there is to having a beard period. But, to properly grow a beard, you start out like that, but there's more to it. While you're growing your beard whiskers, don't try to trim it at first. You'll need to let it grow out at least a half an inch before you can do anything creative with it. How long you'll go without shaving will depend on how fast your facial hair grows. In the meantime, you should use a barber's comb to keep your beard whiskers looking as neat as possible. 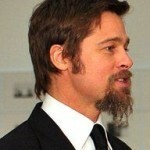 Also, to properly grow a beard, keep it clean, especially around your mouth and nose area. Once your beard is grown out a few inches, you can decide how you're going to trim it. As soon as my son started shaving, I bought him a good-quality beard trimmer for his birthday. If you don't have one, you'll definitely need one now. They are readily available at drug and department stores, and they're not real expensive either. 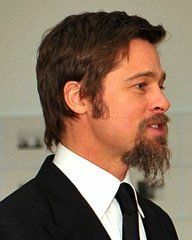 A mistake that many men who grow beards make, is not trimming the whiskers around their necks. If you don't trim that facial hair so your neckline is defined, it looks like your beard never stops. It just goes right into your neck. Don't make the same mistake! Use your beard trimmer to trim up your beard so it stays on your face where it belongs. Another problem area is the cheeks. To properly grow a beard, you should also trim any unruly whiskers that grow too close to your eyes. This doesn't mean you have to trim your beard so it's pencil thin in that area. Unless you want to, of course. Removing straggly whiskers that grow sparsely around your cheekbones will give a cleaner, neater look to your beard. Whether you grow the rest of your beard short or long is completely up to you, of course. If yours is a short-cropped beard, you can keep it clean with soap and water every time you shower. But if your beard is at least an inch long, you should actually wash it regularly with a mild shampoo. Make sure you rinse the shampoo completely out of your beard. Then, towel dry the whiskers on your face and comb them. And finally, after you properly grow a beard, if it's grayer or whiter than the hair on your head, you can always use a mustache and beard color to fix the problem. Just For Men™, for one example, is a trusted brand name you can use.